The almost universal appraisal is that the best song off The Strokes’ huge Is This It album is “Last Night.” And a fine, neo-New Wave song it is. Its chief weakness is that it essentially steals the very soul of Tom Petty’s “American Girl," a small controversy that morphed into a good-natured inside joke between The Strokes and Petty. Over the years, though, “Someday” has grown in stature because it falls firmly within the great tradition established by Nick Lowe, Graham Parker and the inimitable Elvis Costello. The entirety of Is This It recalls and rejuvenates the music of Lowe’s classic 1978 album Pure Pop For Now People (released in the UK as Jesus Of Cool). Writer Julian Casablancas also tapped into his other New York predecessors’ work: Lou Reed and The Velvet Underground, Dylan, and Patti Smith. Bo Diddley, who shows up for every party, displays himself like a peacock in the scratching short-arm strumming of the rhythm guitar. 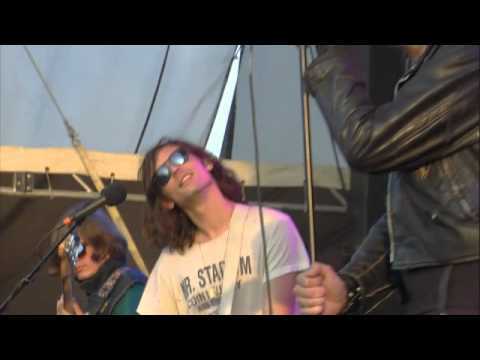 The Strokes are great because the they know from where their form and style come. “Someday” strikes pay dirt on the shoulders of its loyalty to, and expansion of, those roots, but also clicks because its impressionistic lyrics take the listener all over the emotional map of a break up, expressing directly and accurately the ambivalence one feels as a love once great finally fails. The vocal execution by Julian Casablancas is just pathetic enough, just fatalistic enough, slightly jokey, slightly optimistic, and minimally assertive. The driving, clashing, but insistently lighthearted guitar work by Nick Valensi and Albert Hammond, Jr. is energetic, sparing us the clumsy manic energy of “Last Night.” (Hammond’s Father, Albert, is responsible for the ‘70s hit, “It Never Rains In Southern California.”) The ghost of Buddy Holly is at work in the twangy guitars here, adding yet another layer of DNA to the song’s import. Fabrizio Moretti, a New Yorker by way of Rio de Janeiro, gives the song a fine-honed pounding beat that inspires the body to move, move, move. Upon a good listen, you can see how early 2000’s dance parties would have been set on fire by “Someday,” and how Buddy Holly’s punky Rockabilly stands the test of time when infused with new breath. But there is a squared-up, Millennial-generation romance realism that the '50s and '60s rarely brought forth. 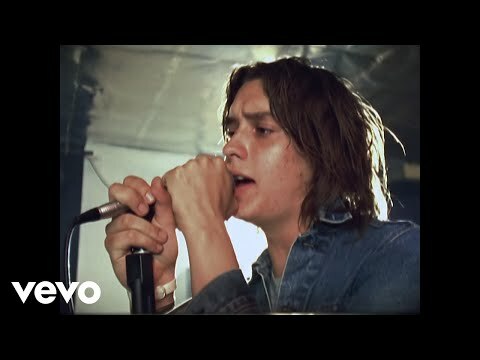 “Last Night” may be the hit The Strokes and their fans wanted, but “Someday” is the song that will endure for the ages. It tells us that Rock-N-Roll did not die in the year 2000, but methodically dusted off its old, venerable clothes and jumped up again to deliver a more textured, ironical view of life and love for a new generation. Roman Coppola, son of Francis Ford Coppola (major domo of The Godfather; Apocalypse Now; Bram Stoker’s Dracula) directed the music video for “Someday.” Guns N’ Roses guitarist, Slash, appears in the video. “Someday” peaked at only #17 on the Alternative charts. It moves quickly through boredom to despair to (at least an imagination of) suicide and ends up at a possible redemption.